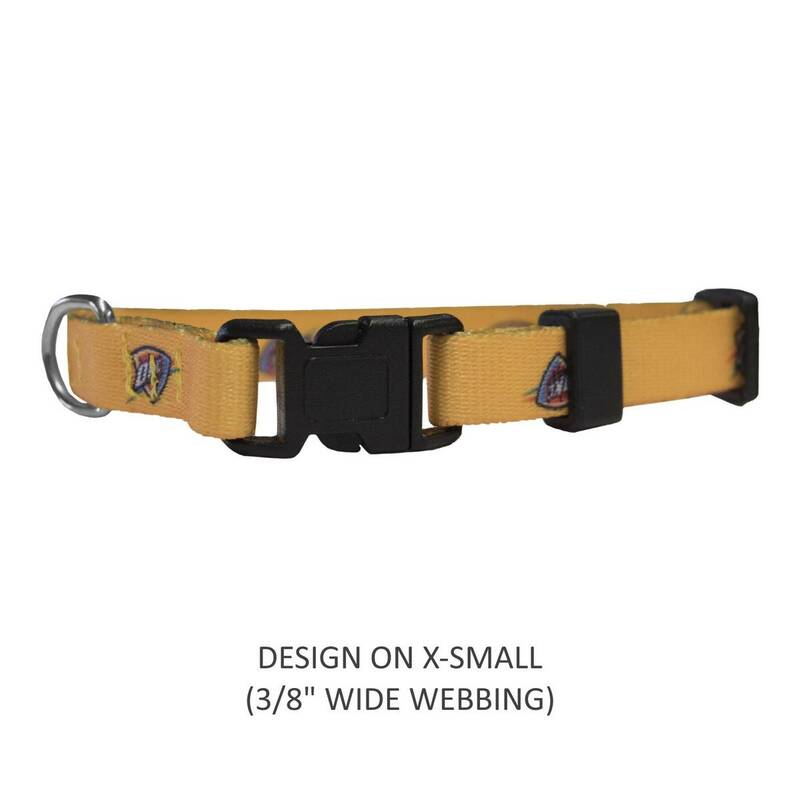 Show support of your favorite team with this adjustable nylon officially licensed NBA Oklahoma City Thunder pet collar! 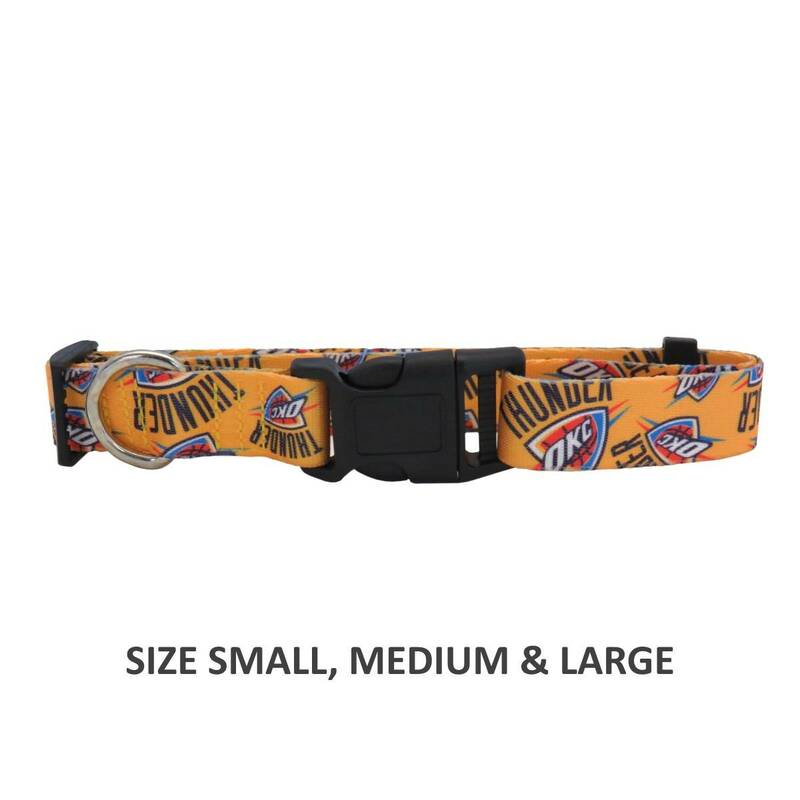 Show support of your favorite team with this adjustable nylon officially licensed NBA Oklahoma City Thunder pet collar! This collar closes with a hard plastic locking clasp for easy access on and off.